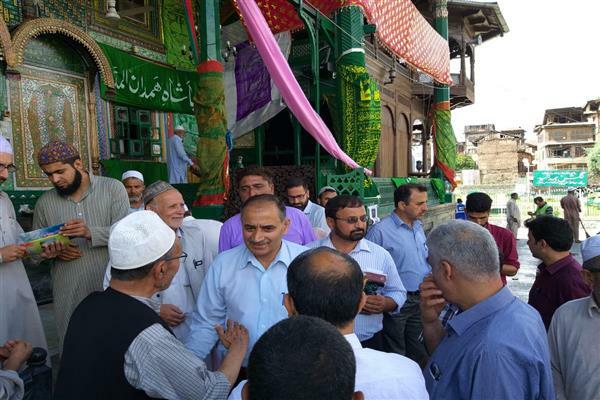 Srinagar, Aug 14 (KNS): Commissioner Srinagar Municipal Corporation Peerzada Haffizullah today took a stock of sanitation and functionality of street lights at Khan Qaahe mohalla for the eve of upcoming URS there. He was accompanied by all the concerned senior officers of the Corporation. Directions were passed on to upkeep sanitation in and around Khan Qaahe mohalla and repair all the defunct street lights if non functional. Commissioner also impressed upon the concerned officials to set up an assistance camp on the urs days in order to facilitate general public. He further visited Sher-e-Kashmir cricket stadium to review various arrangements particularly sanitation in view of upcoming Independence Day.